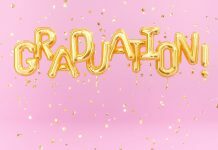 The right graduation slideshow, eCard, or collage lets people know that you’ve reached an important milestone, and those who care might just give you a hand in the near future. 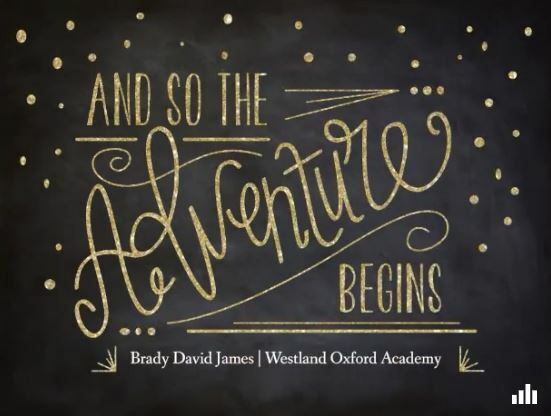 By choosing the right graduation announcement idea, you can subtly drop some hints about how loved ones can support you in your new endeavors. After all, this is an ideal opportunity to prepare for the future, thank those who were part of this accomplishment, and create a valuable memento. You may not be able to cover every point in a single template, so concentrate on one of the following graduation announcement ideas. Of course, if you have the time, you can personalize multiple templates and send them to the right people. 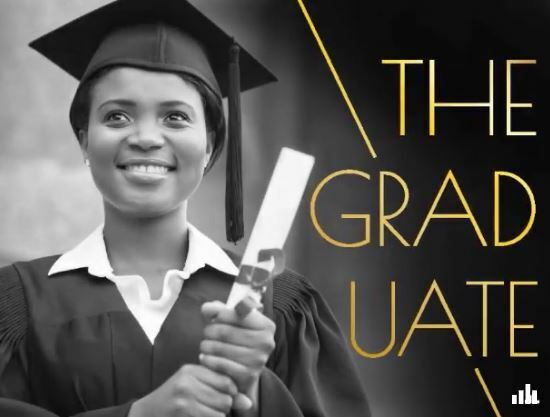 A formally worded announcement and impressive photo of the graduate in cap and gown is ideal for getting the word out to relatives and friends so that they can plan far in advance to be present at the ceremony. Although the formal approach may not be right for everyone, it puts a serious spin on the occasion and adds to the weight of your accomplishments. Check out the Smilebox card maker to see some really impressive templates that are easily customized. There’s no better time to talk about your ambitions than when you have just proven your mettle. That’s why, when choosing the right graduation announcement idea, you should consider showing a bit of pride. 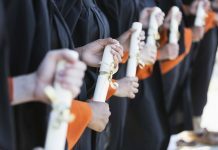 In addition to highlighting your upcoming graduation, take care to mention that you’ll soon be leveraging your education to work in your chosen field, or moving on to an institution of higher learning. This will make your greeting or slideshow more informative, but might also gently influence your friends and family to consider how they could support you. “It’s not what you know, but who you know.” That might not be totally true, but having great connections is definitely essential, no matter what you plan for after graduation. For this graduation announcement idea, include some specifics in your eCard, slideshow, or collage. For example, mention what school you will be attending next, what kind of job you are aiming for, or even what city you will be moving to soon. 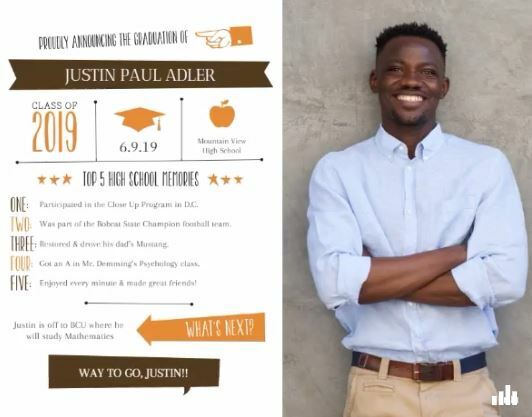 Chances are that one of your invitees will have a connection that will make all the difference—and all because they read about it in your graduation announcement. From parents, to fellow students, to generous relatives, to friends that you just hung out with, you probably didn’t reach this point all by yourself. Your graduation is the ideal opportunity to show your appreciation for all the help you received along the way. You’ll never feel more pride than when surrounded by those who know how hard you worked; and thanking them explicitly will remind your friends and family that you will never forget their part in your success. Customizing an eCard, DIY card, or slideshow with thank you messaging is super-simple – check this link to find out more. 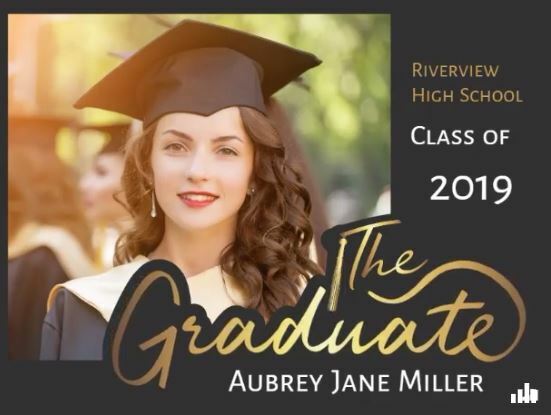 If you’ve got some artistic talent, then invest some of it in your graduation announcement design. Many Smilebox templates are provided ready to use, but also allow for extensive customization. 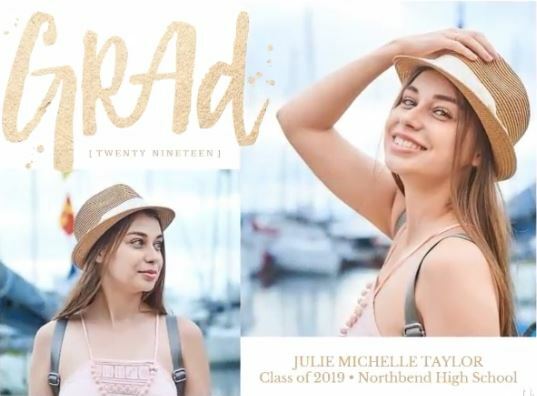 Take your time and make this the perfect graduation announcement with meaningful photographs, text, colors, and features. To really get some great graphics going, we suggest using a slideshow format, which lets you add a variety of images and lots of text. 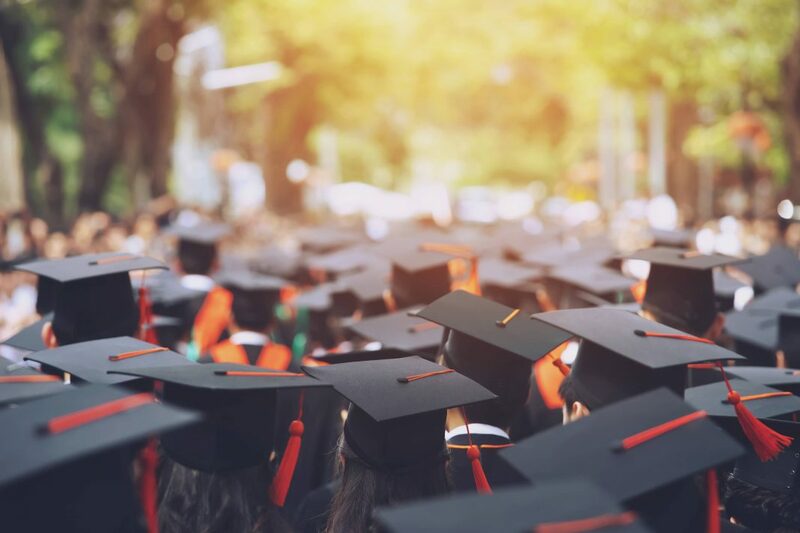 For some, graduation is an opportunity to say goodbye to fellow students and teachers as you move on to your next step in life. It would be a shame to lose touch with the friends and mentors who have invested time in you, and vice versa. 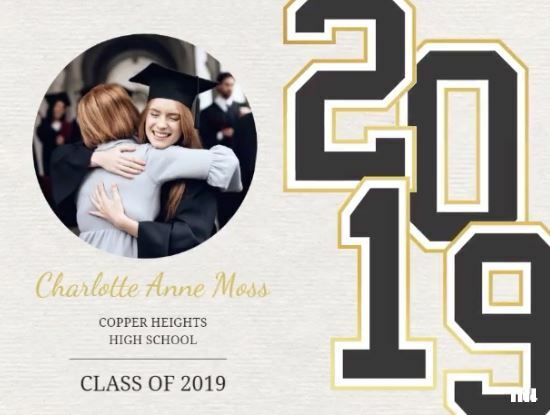 Make sure to maintain these wonderful relationships with a graduation announcement that both informs people about the ceremony and lets them know how to stay connected. Simply add your contact details to the text of the template and share online, or print and send a paper card. Graduation is just a word – and a picture is worth a thousand words. Show how far you’ve come with a “then and now” collage-style graduation announcement. Photos can be better than text at bringing up emotions and capturing this experience. Include photos from your stressed-out lows to your happiest highs, your failures and accomplishments, your peers and mentors along the way – whatever illustrates your journey to the diploma. Your recipients will be smiling and shaking their heads, and you’ll have a beautiful memento to carry with you. You’ve earned it – time to celebrate! Let off some steam from all those months of hard work with a party-themed template, some crazy pics, and hilarious text. Maybe the ceremony will be formal, but those special people in your audience will see the joy lurking under the surface as you walk up to the podium. 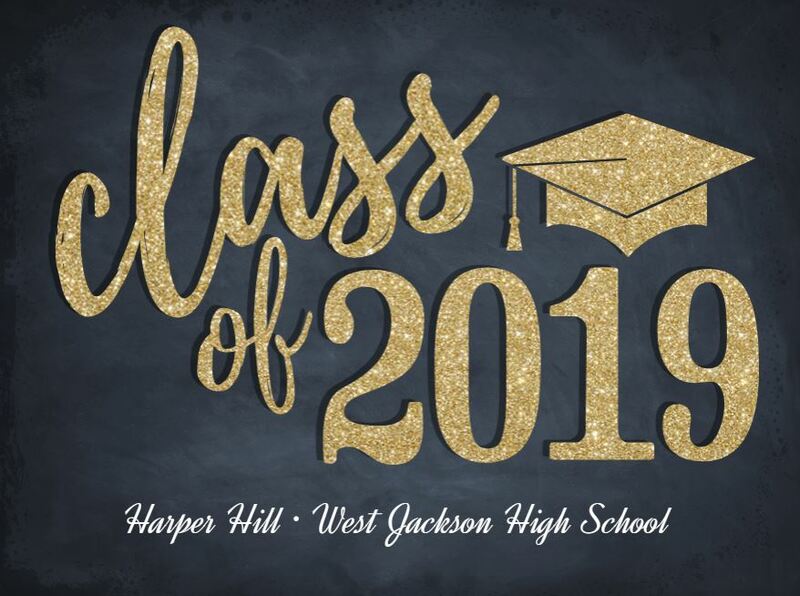 You can also use your graduation announcement to invite guests to your post-ceremony celebration, if you’re having one. Announcing your graduation is not something you get to do every day. Take pride in this moment, and share the news in a way that’s meaningful to you. Whether you opt for the formal, thankful, artistic or any of the other styles described above, the important thing is to get the word out so the people in your life can celebrate with you. Come on grad, there’s only one last thing left to do before you toss that cap in the air: create your graduation announcement now!